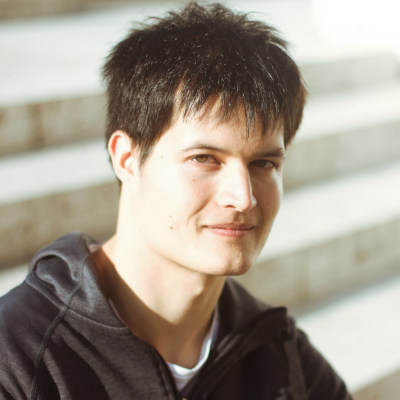 I'm Geza Kovacs, a Computer Science PhD student at Stanford supported by the NDSEG fellowship. My advisor is Michael Bernstein in the Human-Computer Interaction group. My research spans crowdsourcing, behavior change, social computing, and online education. I did my undergrad and masters in CS at MIT. See my resume for details on industry experience. HabitLab helps you improve your online habits (ie, wasting less time online) via self-experimentation. HabitLab is an ongoing open-source project. Install our Chrome extension below! EduFeed is a social feed which encourages preliterate children to engage in and share educational activities. In our deployment, we used EduFeed to teach basic reading and arithmetic skills to preliterate children in India. a crowdsourcing platform that implements novel solutions to trust and fairness issues on existing marketplaces. 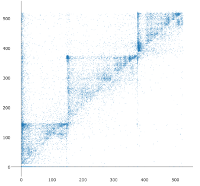 An exploratory data-mining analysis of how users interact with in-video quizzes on Coursera. We discover quiz-driven navigation patterns such as seeking from one in-video quiz to the next. FeedLearn helps you learn vocabulary as you browse your Facebook feed. It inserts interactive quizzes which you can answer without leaving your feed. QuizCram is a viewer for MOOC lectures that uses quizzes to direct navigation and reviewing. Materials can be generated from existing in-video quizzes on Coursera. 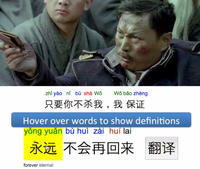 Smart Subtitles helps you learn vocabulary while you watch foreign-language videos. It features an interactive transcript with mouse-over definitions and dialog-based navigation. GrammarVis lets you interactively explore the syntactic structure of sentences. I built it as part of a foreign-language manga reader application. 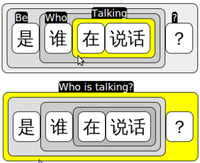 Software translators lack visual context which illustrates how the strings they are translating are used. ScreenMatch matches translatable strings to screenshots, to illustrate how they are used in the software. UNetbootin is a graphical tool to create bootable live USB drives. It allows users to install Ubuntu and other Linux distributions on tablets and netbooks without CD drives. I built and maintain UNetbootin. It has been downloaded over 40 million times. 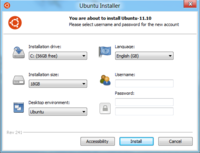 Wubi is a tool that allows users to install Ubuntu from Windows. It installs and boots Ubuntu from a file, so it does not require any repartitioning. I built the original versions of Wubi, which is now part of Ubuntu. You can find my other open-source projects on Github, Launchpad and Npm. Geza Kovacs, Drew Mylander Gregory, Zilin Ma, Zhengxuan Wu, Golrokh Emami, Jacob Ray, Michael Bernstein. Conservation of Procrastination: Do Productivity Interventions Save Time or Just Redistribute It?. CHI 2019 (full paper, to appear). Geza Kovacs, Zhengxuan Wu, Michael Bernstein. Rotating Online Behavior Change Interventions Increases Effectiveness But Also Increases Attrition. CSCW 2018 (full paper). ACM DL. Rajan Vaish, Neil Gaikwad, Geza Kovacs, Andreas Veit, Ranjay Krishna, Imanol Arrieta Ibarra, Camelia Simoiu, Michael Wilber, Serge Belongie, Sharad Goel, James Davis, Michael Bernstein. 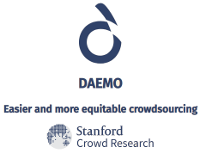 Crowd Research: Open and Scalable University Laboratories. UIST 2017 (full paper). ACM DL. Geza Kovacs. Multimedia for Language Learning. MEng Thesis, MIT, 2013. A: Kovács Géza (IPA: kovaːt͡ʃ ɡeːzɒ) The "e" sound in Geza is the same as in "hey". The "cs" in Kovacs is pronounced "ch", not "ks". Hungarian puts the surname first. Q: What are your pseudonyms? A: I used to go by tuxcantfly on the Ubuntu forums and some other open-source software-related sites.